Saul Blease announced this project a while ago now, as documented in m’colleague Jez Rowden’s review of his 2015 album, Daybreak. Since Daybreak, Saul seems to have morphed into a completely new musician! His obviously piano based songs have now developed into songs where his writing methodology should no longer be of any real interest, in that the songs themselves have become the sole focus of the listening experience. There are clearly new influences at play. With The Great War I could start by saying that Saul is clearly allowing these influences – Nine Inch Nails/Trent Reznor, Ministry, Marylin Manson, perhaps even Placebo – to shine through. C’mon, I bet every reviewer has done that! And let’s face it, who doesn’t like everything released by Trent Reznor, Ministry, Marylin Manson and even Placebo [conspiratorial wink]? More importantly, what could more appropriately represent the evil behind such dreadful conflict than heavily distorted guitar or the ominous, relentless oscillator-generated waves of synthesised sound? So never mind the comparisons. They sometimes cloud the issue of whether the music stands up on its own. Comparisons also overshadow any questions about what might have inspired the artist to make the music in the first place. In this case it was a passion. The motivation to make this album positively gushes from the speakers and gives the music complete validity. 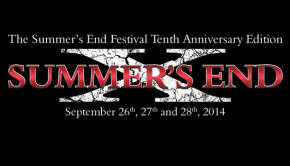 “2014 was the centenary of the “war to end all wars” and I had the idea to compose some music around the subject. Rather than just release one song or EP in 2014, I decided it would be an interesting concept to release one song a year, from 2014 to 2018 that, combined, would form one (longer) piece of music. In 2018 Bad Elephant approached me with the idea of releasing the project as a full album and this opportunity has allowed me to re-record and reinterpret the songs I had written since 2014 and include some additional ones, the end result being The Great War album”. Clearly the centenary of the start of our First World War profoundly moved Saul in a lasting way. How appropriate, then, that he should release this collection of songs during the centenary year of its end. It goes without saying that everyone should recognise that war is a terrible thing; a madness, a mistake that we seem doomed to repeat, as inevitable as death itself. We all revel in the potential of our progeny, and yet we seem hell bent on allowing the fostering of division. Our leaders conjure up this evil spirit with a mind of its own which humankind seems to be unable to exorcise. That then robs us of innocent generations. The opening song, Rewind/Valiant Hearts is a segue of an original piece and a rendering of the traditional hymn and demonstrates this horrible dichotomy. Ex-nihilo, the ominous, grinding, growling synths seem to represent a malevolent spirit… War. They crawl up out of whatever temporary hellish holding cell we’ve invented for it. The sound overshadows the solo piano and choirboy vocal, seemingly symbolic of potential and the innocence of youth but voicing lyrics heavily laden with nobility. Then all simile is abandoned as the album kicks off properly and we are in no uncertain terms reminded of and saddened by the corruption of these kids… kids who were indoctrinated into the collective insanity, many of whom died “stuck in the blood and the piss and the mud”, as part of this War Machine. And things just become darker. 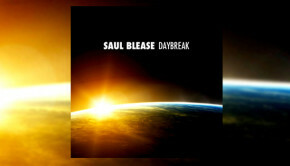 Recycling some of his earlier releases into re-imagined, sometimes re-titled versions, and adding bucket-loads of ideas, Saul Blease has shrugged off any allusion to prog pretension that might have been hinted at in his 2015 album release. Saul has brought these WW1 themed songs into a coherent, well compiled and beautifully produced concept album. Yes, I was genuinely moved by this album. The image of someone, bound by wire, as new friends die all around and as their own life fades, the irony of finding beauty in the sky lit up by the conflict that rages around him… how could one not be? Indulge me in this seemingly irrelevant digression: In 1989 I left a cinema having watched Tim Burton/Michael Keaton’s Batman and I WAS Batman. Who wasn’t? In almost the same way I have been totally immersed in Saul Blease’s The Great War. This is how it affected me. I day-dreamed about seeing the album performed live. I even fantasised about being in a live band performing it because, somehow, I felt that I needed to be involved, however vicariously, just like when I was Batman all those many years ago. My MP3 promo copy of this album became the soundtrack to my October 2018. I ran up Irish country roads to it; I head-banged to it along the entire length of the North Kent countryside’s M2 motorway; I sang along to If I Were God (one of several stand-out tracks). I even contemplated creating a new pedal board and arranging some of the songs for Chapman Stick. Frankly, if I knew how to make music like this – then I would. 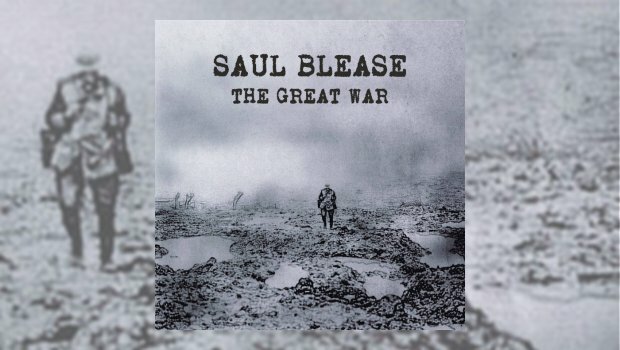 I don’t believe Saul Blease set out to make an industrial metal album or a prog album or a pop or rock record. I speculate that Saul set off to make an album about something that moved him – the centenary of The War To End All Wars. The artist who wrote these songs, this concept album, this collection of protest songs, has simply used the right tools for the job. I fail to see how anyone won’t like this. Even if you are unmoved by the message and imagery, Saul Blease knows how to write melodies and hooks, so it seems a pretty safe bet that you’ll like at least something on it! This is a collection of well written, arranged and performed songs that stands firmly on its own two muddy, bloody feet. I genuinely don’t have a problem with Saul Blease’s obvious musical references, in fact, I love them! Call me a hypocrite and bite me. The Great War is likely to remain high on my playlist for quite some time.